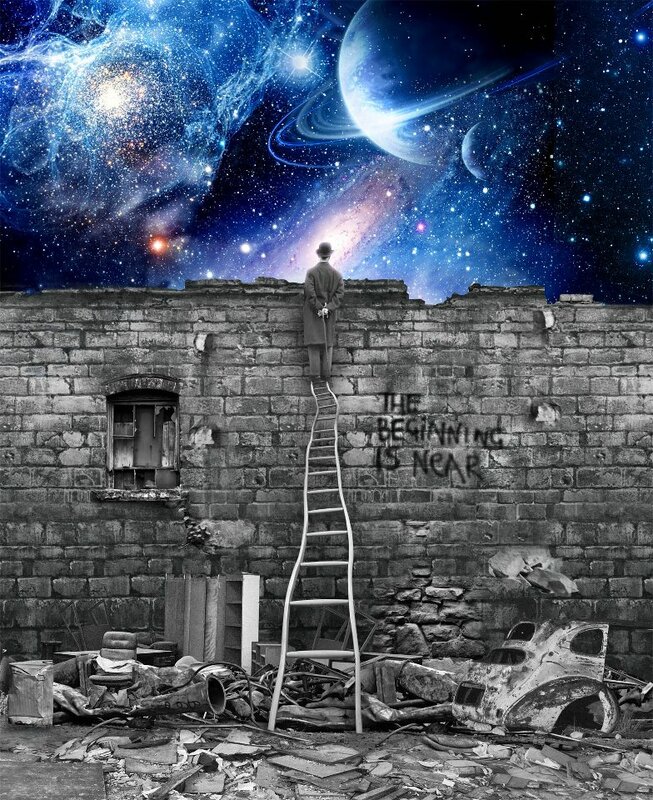 The Beginning is Near – Image by the Imaginary Foundation. Please see their site (click Imaginary Foundation below) for information on it. I love, love, love this image. The Imaginary Foundation created it, and it perfectly captures the moment we are living right now. One world is dying and a new one is being born. We are all being asked to take a huge leap of faith. What will we become? How will the world change? What will we celebrate as a result? Thank you!! Good information. Beautiful outlook. Thank you! for conceiving and creating this image. Contradicts the various doomsday scenarios that are floating around in the collective psyche. Wonder and light will prevail. where can i fina a jpeg of this image? Can i order a print? The Imaginary Foundation is the site for the image if you want to see more of their stuff! There is a 12-year-old boy deep inside this 70-year-old man, leaping for hope and joy. Thank you.